As we get closer to the opening date of Star Wars: Galaxy’s Edge in Disneyland at the end of May, Disney is adding more information about the experiences guests will get to enjoy when the land opens. Today, we have a first look at new concept art released for Kat Saka’s Kettle, the popcorn stand that will be serving an out-of-this-world colorful mix. In addition to the concept art, here’s a look at the colorful popcorn that will be offered, called the Outpost Mix. Venture into the market to find this colorful snack shop, where grains from all over the galaxy are on display. 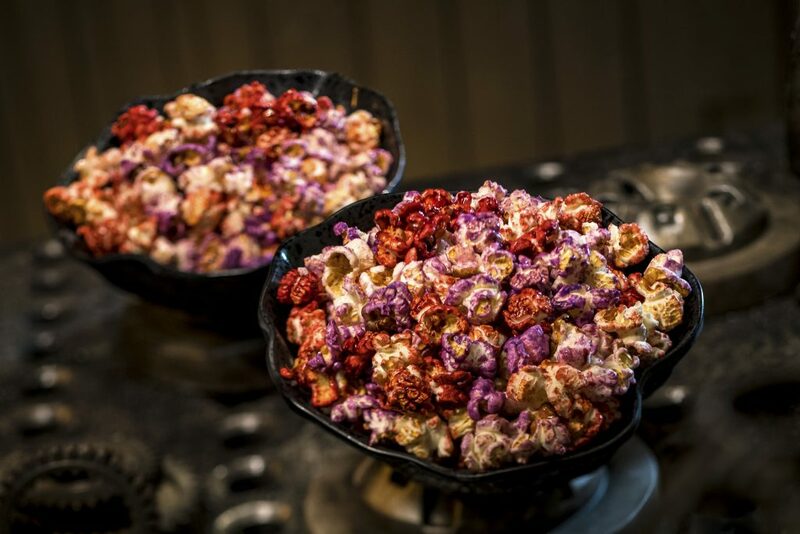 Order a generous, piping-hot helping of this popular and flavorful local specialty popcorn and enjoy it as you explore Black Spire Outpost. Refreshing beverages are also sold here. 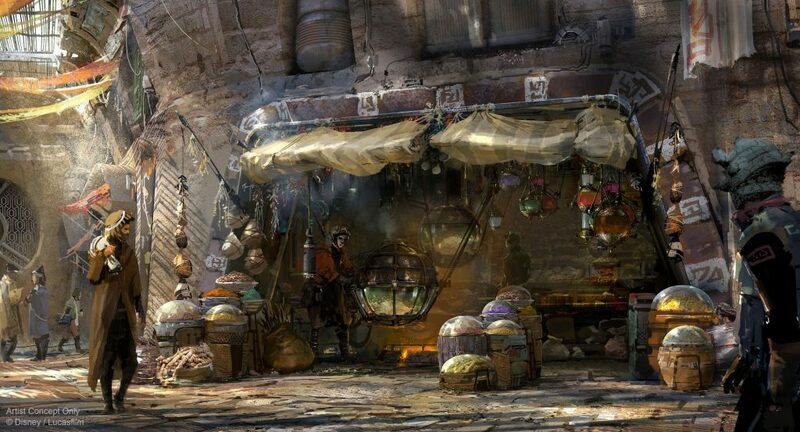 Run by grain merchant Kat Saka, this stall offers customers a unique taste of Batuu.